Lupus is an autoimmune disease in dogs in which the body's immune system attacks the body itself. It can be acute or chronic. Canine lupus is a complex disease because it can affect several different body parts, including the skin, heart, joints and kidneys. As a result, the symptoms are varied, making diagnosis difficult. There are two forms of lupus in dogs - Systemic Lupus Erythmatosus (SLE) and Cutaneous Lupus Erythematosus (CLE), also known as Discoid Lupus. Systemic Lupus Erythmatosus (aka canine systemic lupus, or simply canine lupus) is a rather rare form of autoimmune disease found only in dogs. Dogs with lupus have unusual antibodies in their blood that target different proteins in their own bodies. These antibodies circulate throughout the dog's body and systemically affect multiple organs (e.g. the skin, the heart, lungs and kidneys, joints, nervous system, blood). As a result, dogs with lupus suffer from such ailments as arthritis and joint pain, kidney disease, anemia, and skin disease. Systemic lupus in dogs causes a wide variety of symptoms depending on which part (or parts) of the body is under attack. Usually a dog with lupus has periods of flare-up and then remission. As you can see from the above list of symptoms, canine lupus can affect many different body systems, making diagnosis difficult. If canine lupus is suspected, blood tests and biopsy for examination will be done to confirm the diagnosis. The prognosis of systemic lupus in dogs is guarded due to the difficulty in diagnosis and aggressive treatment involved. Less than half of the dogs with this disease can survive over one year after diagnosis. Canine discoid lupus is also an autoimmune disease that is more common than canine systemic lupus. In fact, it is the second most common autoimmune skin disease in dogs, after pemphigus foliaceus. Unlike canine systemic lupus, discoid lupus affects mainly the nose and face. It is therefore considered to be a milder form of lupus, and can be controlled easier than systemic lupus. For reason unknown, discoid lupus seems to be more common among dogs of certain breeds. Specifically, German Shepherds, Collies, Shetland Sheepdogs, Siberian Huskies, and German Shorthaired Pointers are among those that are most vulnerable to this disease. If you notice a loss of pigment around your dog's nose, it means your dog may be suffering from the onset of canine discoid lupus. Dogs normally have noses whose surface is not smooth (typically the surface has a "cobblestoned" appearance). But the nose of a dog with discoid lupus progressively becomes smooth, followed by a destruction of the tissue cells. When the condition becomes more advanced, you can see ulcerations and crusts or scabs on the nose. You may also find red, scaling areas of inflammation on your dog's face. There may also be lesions on the ears and thickening of the footpads. Exposure to ultraviolet light tends to worsen the condition, so discoid lupus is more common and severe in the summer. Diagnosis of canine discoid lupus is by biopsy and examining the samples. Conventional treatment for canine systemic lupus generally includes relatively high doses of steroids in combination with chemotherapy. Regarding discoid lupus, conventional treatment involves life-long use of lower doses of steroids plus vitamin E and fatty acid supplements (Omega-3 and Omega-6 fatty acids). Since exposure to UV light worsens the skin lesions in both conditions (systemic and discoid lupus), veterinarians also advise the topical use of sunscreen on affected dogs, who should also be sheltered from peak sunlight hours. Holistic veterinarians believe that long term use of steroids can only wreak further havoc to the immune system, leading to more physical problems down the road. 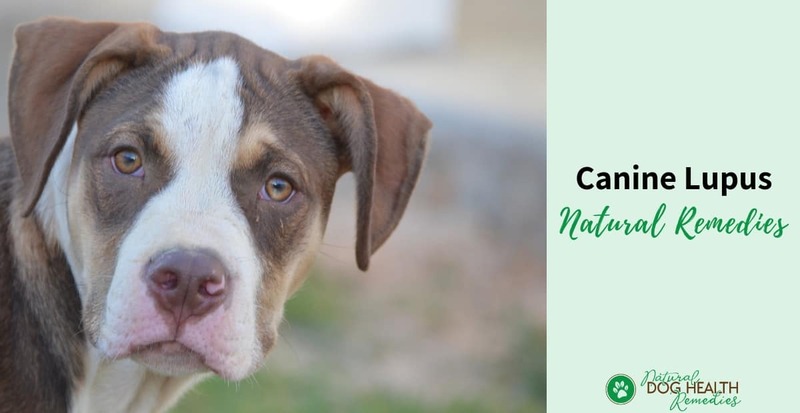 Therefore, holistic veterinarians prefer using natural remedies and supplements as much as possible to moderate and calm the immune system so that it will eventually function normally again. 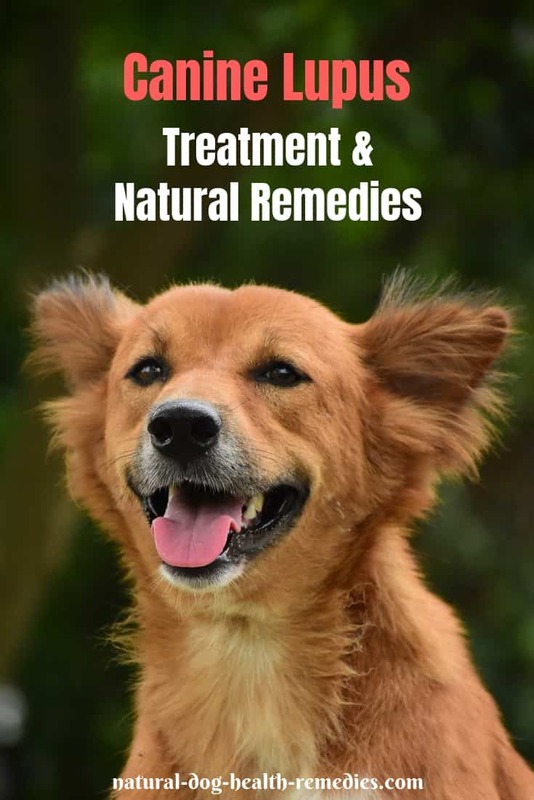 To alleviate the pain and discomfort caused by the various symptoms of lupus in dogs, natural remedies such as herbs, homeopathic remedies, and natural supplements can be used. Specific antioxidants that are effective against the effects of some autoimmune diseases include alpha-lipoic acid, coenzyme Q10, green tea, and systemic enzymes. Natural ointment that contains herbs that promote healing (such as calendula, aloe, and comfrey) is effective in helping to heal the cracked, irritated skin caused by discoid lupus. Dr. Harvey's Organic Healing Cream contains extracts healing herbs such as calendula, aloe, comfrey, and rosemary, as well as tea tree oil which is anti-bacterial and anti-viral. Antioxidants (vitamins C and E) are also included to promote healing. Another natural oil that you can use is organic neem oil, which has long been used to heal different skin issues and burns. An added bonus of using neem oil is that it has insect repelling properties! Internally, homeopathic remedies are effective in treating canine discoid lupus. Sulfur is most useful in treating chronic diseases and is appropriate for dogs with a poor immune system that simply cannot heal conditions which other healthy animals readily heal. If your dog has been diagnosed with canine discoid lupus, try using this remedy (2 tablets twice daily for a week). Arum triphyllum is effective for mucous membrane inflammation, especially of the mouth and the nose. It is good for scabs, sores and cracked skin. Use 2 tablets 4 times daily for a week. If conditions improve, you can cut the dosage in half for the following week, and half again for 2 additional weeks. In addition to the natural remedies mentioned above, many holistic vets also emphasize that dogs with lupus should avoid anything that's inflammatory in nature. For example, the food that the dog eats should be anti-inflammatory, i.e. the dog diet should not contain food items that may cause inflammation. Corn, soy, and grains are typical foods that can cause inflammation in dogs. Vaccination is another thing you should look into if your dog has lupus. Do not over-vaccinate your dog. Many holistic vets are of the opinion that over-vaccination can cause a lot of health issues including inflammation and autoimmune diseases. 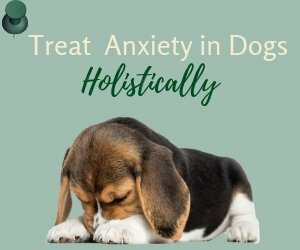 Finally, because stress in a dog's daily life can trigger or worsen the condition of lupus, try to maintain a stress-free lifestyle for your dog. Keep a relatively regular daily routine, and try not to introduce too much change to the dog's environment. 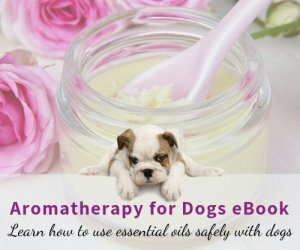 If your dog is under stress and has anxiety, use natural remedies to help relieve some of his stress. 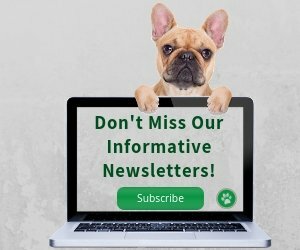 Learn more about autoimmune disease in dogs.